Smart Embedded is Embedded systems practical oriented training and solutions provider as per new trends in embedded systems for engineering students and working professionals. Practical oriented training with latest technologies in Embedded Systems. 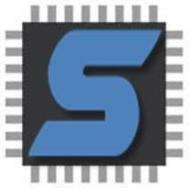 Smart Embedded conducts classes in Embedded C, Embedded Linux and Embedded Systems. It is located in Langar Houz, Hyderabad. It takes Regular Classes- at the Institute. VEDA Institute of Information Technology Pvt. Ltd.